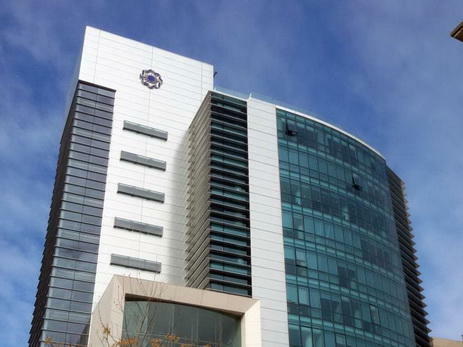 The International Bank of Azerbaijan (IBA) has launched a project to optimize the business processes of the branch network based on the Business Process Management (BPM) technology platform, the bank reported on June 8. To date, the BPM platform is used in the capital branches of the bank. By the end of the year, the whole network of the bank's services will be transferred to this platform. "BPM has already been successfully used by the world's leading banks, thus ensuring high efficiency of the workflow. The implementation of this platform in the IBA will facilitate the automation of business processes, improve efficiency and improve the level of customer service,” the bank said. BPM is a systematic approach to making an organization's workflow more effective, more efficient and more capable of adapting to an ever-changing environment. A business process is an activity or set of activities that will accomplish a specific organizational goal. The goal of BPM is to reduce human error and miscommunication and focus stakeholders on the requirements of their roles. BPM is a subset of infrastructure management, an administrative area concerned with maintaining and optimizing an organization's equipment and core operations. The largest bank of Azerbaijan stopped paying off its foreign debts ($3.3 billion) and began the process of restructuring.